Mikel Kelsie and Cortrell Thomas are the founders behind Square Roots — a fresh produce delivery service getting its start in Uniacke Square. Two young men living in Uniacke Square are looking to make a healthy difference in their community. Mikel Kelsie and Cortrell Thomas are the founders of Square Roots, a fresh produce delivery service that sources its goods from Annapolis Valley farms. "It gives back to the community as well as shows people that you can do positive things," Kelsie said. Along with providing their community with better access to fresh produce, Kelsie said the business is also helping reduce food waste by taking surplus vegetables rejected by grocery stores when they have too much stock. Square Roots aims to deliver about 14 kilograms of fruit and vegetables to the doorstep of each customer who signs up for the service. Kelsie is testing the waters first in Uniacke Square, offering the produce and delivery for $10. "Our goal is to reach out to 100 to 200 people, but potentially we want this to be as large scale as we can," he said. 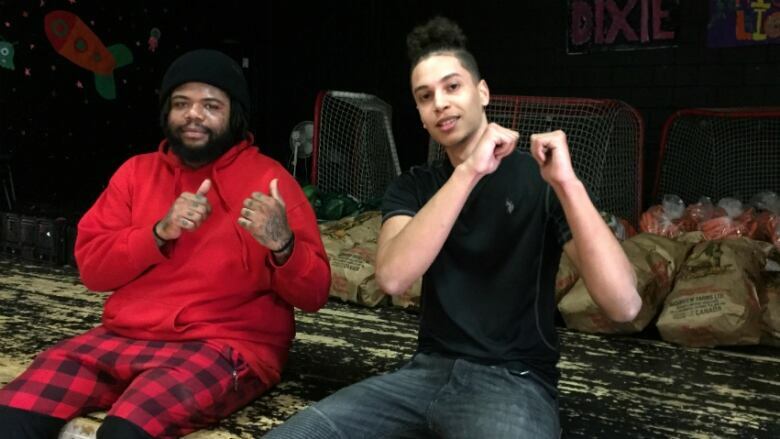 Square Roots got a kickstart from OPtions: Youth Program, which has been creating opportunities for youth at risk in the Halifax region for the past 16 years. Ten students spend eight weeks in a classroom being mentored in entrepreneurial and professional skills. The students then put their new skills to use for three months in a work placement or create their own business. Lianne Perry is the senior project manager at the Sobey School Business Development Centre, which runs the program at Saint Mary's University. She said she noticed the change in the Square Roots founders. "Seeing their growth, their professional growth and also their personal growth, it's really incredible," she said. For Kelsie, the program has allowed him to develop a program to better his community, but also himself. "Difficulties I had before this program was not managing my time right. That was always a big issue for me," he said. "I would show up to work when I felt like it and I lost a lot of jobs like that because it's not the proper mind state to have." Kelsie said he finds himself more positive these days, has a better work etiquette and wants to get more involved with the community. "I actually was already in touch with some people about doing community work with younger kids," he said. Square Roots will be at the George Dixon Centre on Saturday to sign up customers and give away free produce. The business will also teach a free class on how to make healthy meals with the food it provides.